A few years ago, on holiday in Shenzhen, I was asked if I wanted to go shopping for technology as they had “everything” there. I wanted to buy a VR headset as they had only just been invented so I was taken round numerous shops and markets but no-one understood what I was asking for and could only show me 3D TV sets. More recently, a friend of mine bought a VR headset; we downloaded an app to my phone and had a quick play in the office. We decided you needed a swivel chair to make good use of VR. We’re not talking Occulus Rift or HTC Vive here, just a bit of plastic that you can put a smartphone in and run an app. This would be great, I thought, for viewing the pictures from my 3D camera that I have had for years from which I have built up quite a library of pictures (a Fujifilm Finepix 3D). However there seems to be a gap in the market here as I can’t find an app which simply displays a slideshow of a collection of MPOs. Yes, I can find an app which displays a single MPO (AT-MPOviewer) but you have to swipe the screen to get to the next one and that’s not possible if your phone is encased in a piece of plastic. Google cardboard can do a slideshow but I don’t think it does MPO format. 3D Photo Slideshow Viewer “What’s New” dates from 2013. Surely there’s more demand for this simple use case? 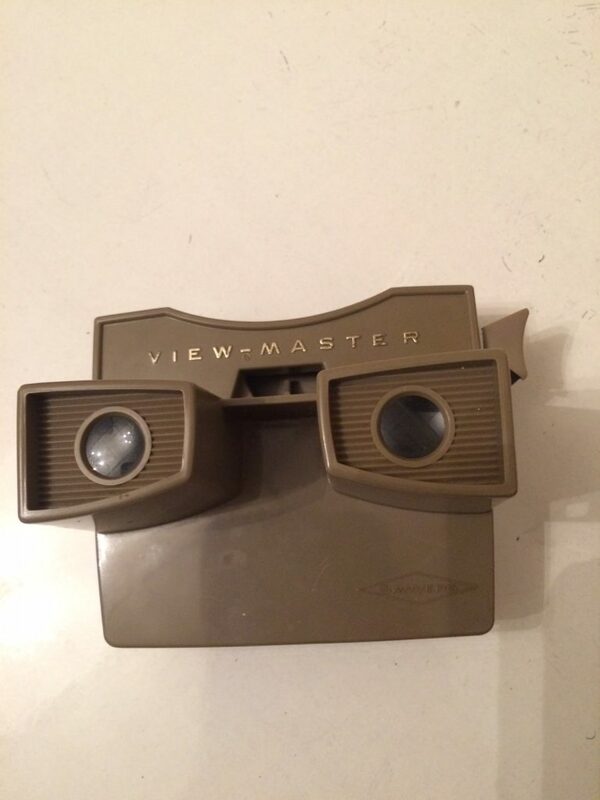 I guess I’ll have to stick to my “Viewmaster” and my collection of Thunderbirds, Bugs Bunny and Micky Mouse slide shows that I got for Christmas sometime in the early 70s.